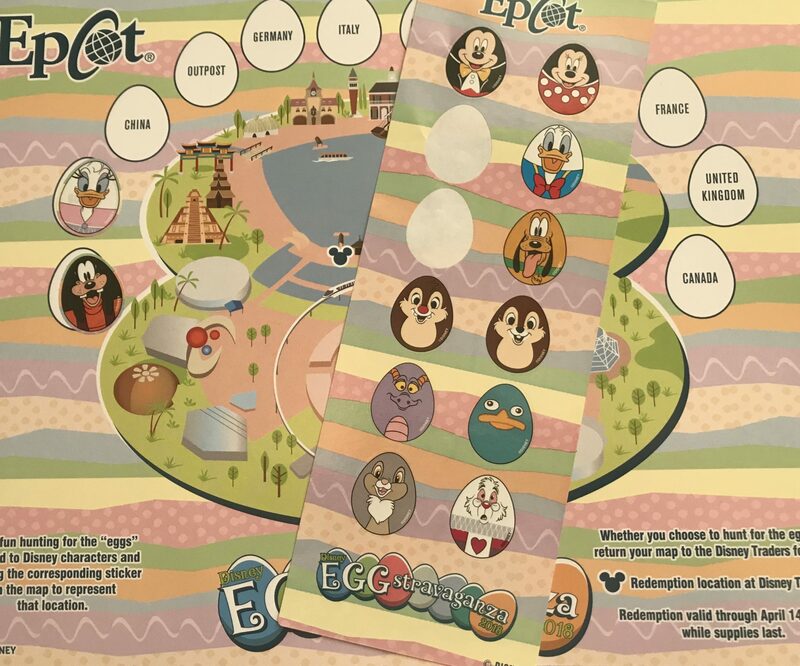 For 2019 April 5-21st, guests can participate in this fun twist on an Easter egg hunt throughout the World Showcase. It’s a perfect activity for both the young and young-at-heart, and it’s easy to get started. Simply pick up your map and a set of stickers at Port of Entry, Disney Traders, Pin Central, or World Traveler. Maps are $5.99 plus tax, and Annual Passholder discounts apply. Then you can hop to it, and begin traveling around the World Showcase. 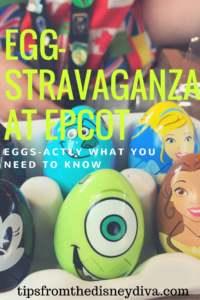 As you journey, be on the look-out for larger-than-life Disney Character-themed eggs. When you spot one, place the corresponding sticker on your map. I hope you’ve eaten all your carrots, because you’ll need your super-bunny-vision to spy all the eggs! Search high and low, and be persistent. You never know where you may spot one of those adorable eggs. We were able to put our egg hunting skills to the test with our grandson. We had planned a birthday trip for him (he just turned five!) and when we realized it would be the weekend the Egg-stravaganza began, we thought it would be a perfect eggs-perience to keep him interested as we explored World Showcase. 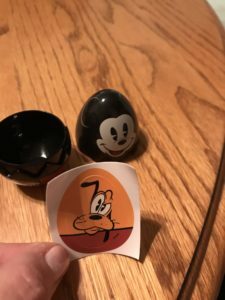 We have never participated in one of these scavenger hunt type activities at Epcot before; but having seen others partake, we thought this would be an egg-cellent chance to try it out. Diva Tip: If your little one needs to burn off some energy, Imagination Play Garden is a wonderful spot to run, climb, and explore. You may want to limit your time there, though, if you want to make it all the way around the World Showcase. More on that later. Disney’s lists all the fun activities during the Flower and Garden Festival here. We began our trip around World Showcase in Mexico right after we finished lunch. When I purchased the map, the cast member had given me a hint to look “in” the countries. 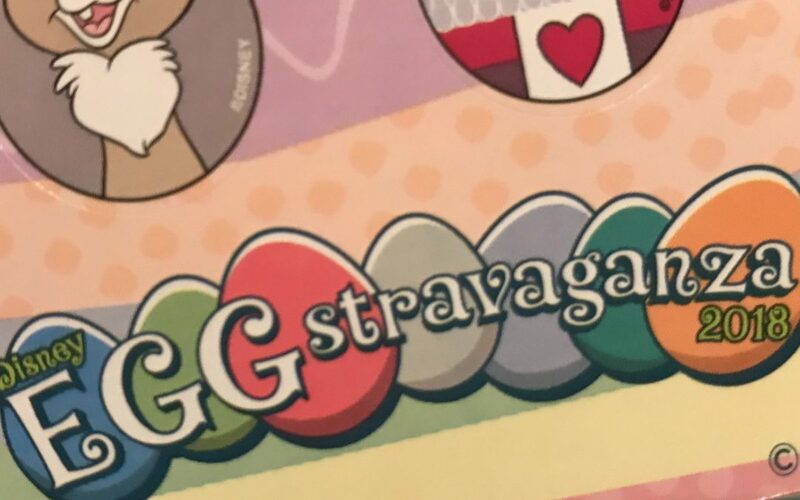 I was a little confused, because I thought it was pretty clear from the map that the eggs would be hidden in the countries. In retrospect, I think my helpful cast member was trying to subtly tell me we would need to actually explore the countries – we wouldn’t have much luck finding anything if we didn’t get off the main walkway. 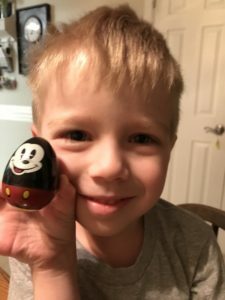 He was really proud of his egg! By now, my preschooler grandson was getting a little tired. It had been a busy day, the sun was really warm, and he had played his heart out at Imagination Play Garden. We should’ve probably known he wouldn’t make it all the way around World Showcase, regardless of how enticing an Easter Egg hunt can be. It took quite a bit of pleading and encouragement to get him to try another country. We walked over to Norway where luckily another guest had given me a great clue as to where to look for the egg. We found it within a couple minutes, but that was it for my grandson. He was ready to go back to the resort. Fortunately, you can redeem your map for your prize even if you haven’t completed your hunt. 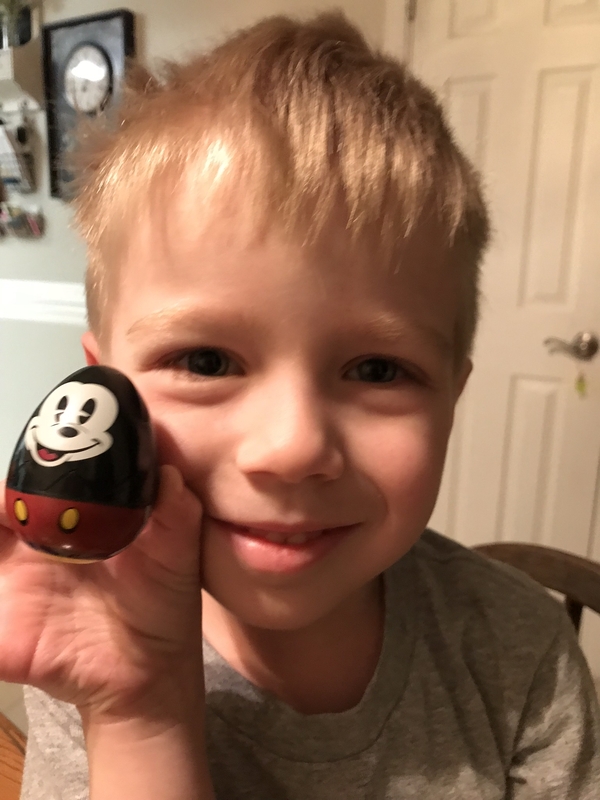 Simply take the map to Disney Traders to claim your very own Disney Character-themed egg to put in your Easter basket! Diva Tip: If you have more than one day at Epcot, you may want to spread out your egg-hunt over several trips. You have until April 14th (or while supplies last) to redeem your map for your prize. A surprise inside the egg! When you’re ready to redeem your map, you’ll have your choice of Mickey, Minnie, Sully, Mike, Cinderella, or Belle inspired eggs. Which will you choose? If you’d like the Easter Bunny to bring you a trip to Walt Disney World Resort, be sure to tell Patricia at All for Dreams Travel. She will do a sp-egg-tacular job of making sure your vacation is the “hoppiest” ever!